Corporate Income Tax (CIT) refers to the corporate tax rate imposed on: the ‘net income’ of companies registered under the Companies Act, 1956 or foreign companies earning income in India. 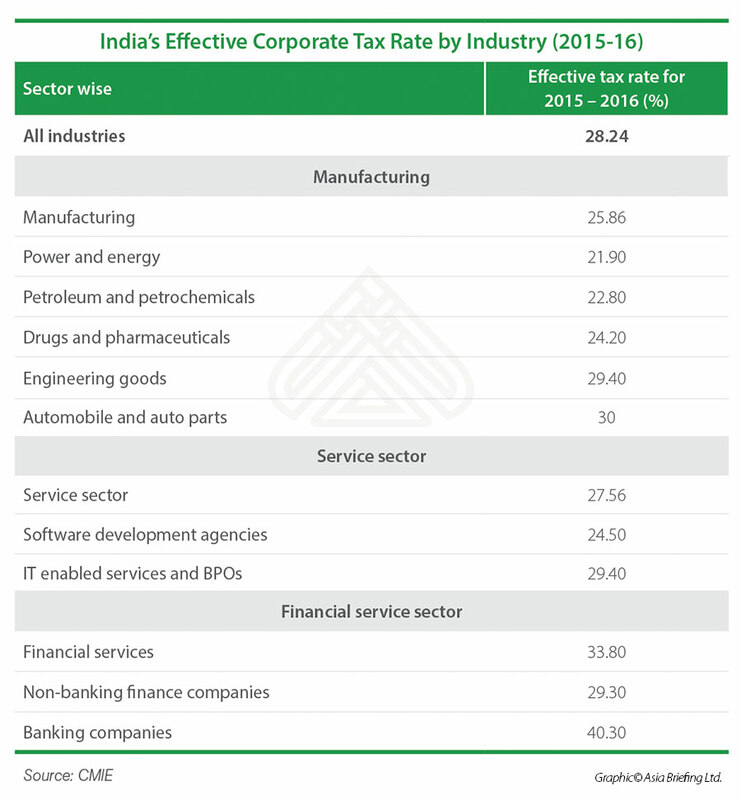 India has among the highest corporate tax rates in the world, but the effective tax liable differs across industry and sector. In this article, we briefly discuss the structure of corporate taxation in the country. A company, whether Indian or foreign, is liable to pay CIT under the country’s Income Tax Act, 1961. While a resident company is taxed on its worldwide income, a non-resident (foreign) company is taxed only on income that is received in India, or that arises, or is deemed to accrue in India. The following parameters determine the CIT liability of companies in India. 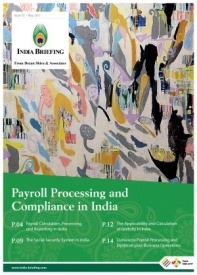 Previously, a foreign company was considered a resident company only if the control and management of their affairs were wholly situated in India in the financial year. 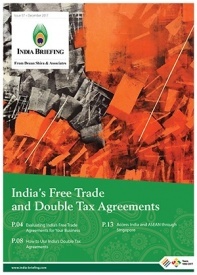 Companies that were partly or wholly controlled and managed from outside India were treated as non-resident companies. This was amended by the Finance Act of 2015 to align the rules with international best practices. Its Place of Effective Management (PoEM), in that year, is in India. PoEM is the place where key management and commercial decisions are made, particular decisions that are necessary for the conduct of the business of an entity as a whole. This PoEM rule came into force on April 1, 2017. A flat 30 percent CIT plus a surcharge, education cess, and secondary and higher education cess is applied to resident enterprises. For resident companies, the surcharge is: seven percent of the amount of CIT, if the total income exceeds US$154,882 (Rs 10 million) or 12 percent of the amount of CIT, if the total income exceeds US$1.55 million (Rs 100 million). From the financial year (FY) 2017-18 onwards, the CIT for domestic companies with an annual turnover of up to US$7.74 million (Rs 500 million) has been brought down to 25 percent from 30 percent. From FY 2018-19, the 25 percent CIT available to micro, small, and medium enterprises (MSMEs) is expanded to those firms showing an annual turnover of less than US$7.79 million (Rs 50 crore) to US$38.94 million (Rs 250 crore). Tax incentives in the form of deductions are also available to companies under Section 80JJAA of the Income-tax Act for every additional job created. Meanwhile, a 40 percent CIT rate and surcharge, education cess, secondary and higher education cess is applied to non-resident enterprises conducting income generating activities in India. The surcharge for foreign companies is two percent or five percent if the income is over US$154,882 (Rs 10 million) or US$1.55 million (Rs 100 million), respectively. The education cess is two percent, and the secondary and higher education cess is one percent, for both resident and foreign companies. 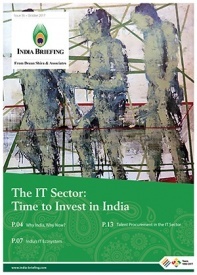 It must also be known that the effective tax rate varies across industries in India, which favors capital intensive sectors, such as power and petroleum, over labor intensive sectors, such as automobiles manufacturing. 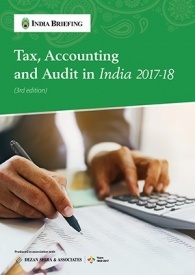 India’s corporate tax system is also complicated: small and medium sized firms with a turnover less than US$160,000 (Rs 10 million) often pay a greater corporate tax rate at up to 30.26 percent than larger firms earning profits worth more than US$78.55 million (Rs 5 billion) at around 26 percent. This was shown in federal budget documents released for the FY 2015-2016 by the Ministry of Finance. This is because of tax exemptions offered on account of accelerated depreciation. These exemptions allow for greater deductions in the earlier years of an asset, and is able to minimize the taxable income of a company – benefiting large firms and capital intensive industries.